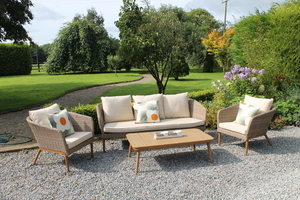 The Lir conversation set is a beautiful contemporary set. The rattan is in a neutral colour and the framework is painted in an brushed aluminium finish. 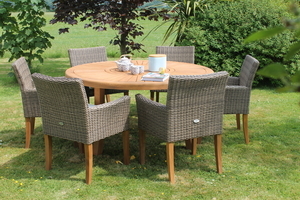 The woven cushions are woven and piped giving this beautiful outdoor conversation set a very classy feel. 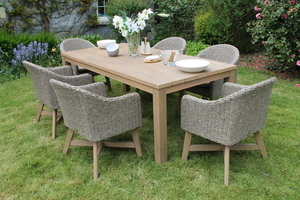 The Lir is part of a collection and you can have a dining set and a lounge set to give your outdoor space a very co-ordinated look.